Why am I seeing this Access Denied error while Authenticating CloudExtend? 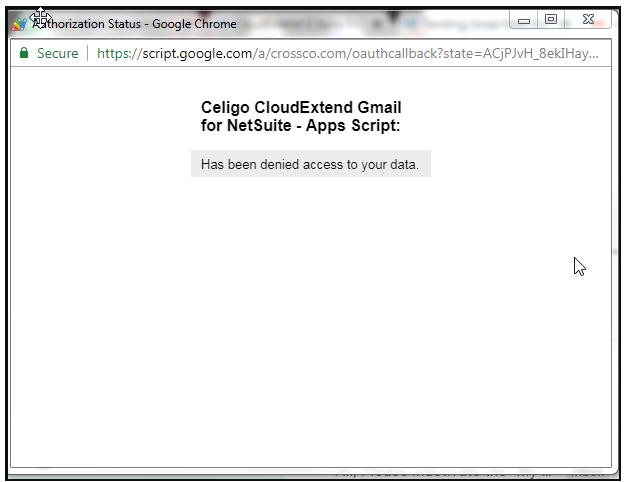 Solution for Error: Celigo CloudExtend Gmail for NetSuite-Apps Script "Has been denied access to your data"
We started noticing this with a few customers recently and is an intermittent issue with Google . Retry authenticating again from Gmail Extension and that should complete the authentication process properly.